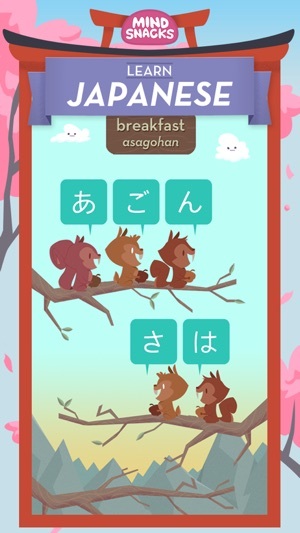 Learning Japanese can be intimidating, but we make it easy with 8 addictive games designed to build essential reading, writing & conversation skills. When learning involves beating old high scores instead of flipping flashcards, it’s amazing how quickly you’ll start to speak, read and write Japanese. 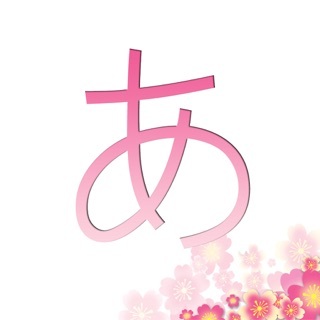 Perfect for adults and kids, our one-of-a-kind app lets you toggle between three Japanese writing systems: kana, kanji, and romaji. To help with memorization, each lesson contains up to 20 Japanese words & phrases along with matching audio clips from a professional native speaking samurai. 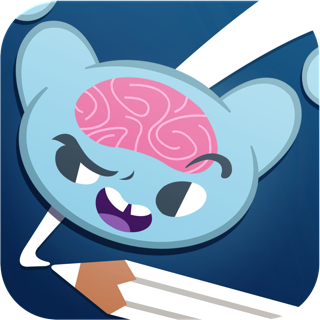 Download today to get the first lesson absolutely free, and for all you aspiring ninja wordsmiths, upgrade to access all 50 lessons and additional side quests for 40+ hours of content. It’s time to become one with your touch screen and master the art of speaking Japanese once and for all. 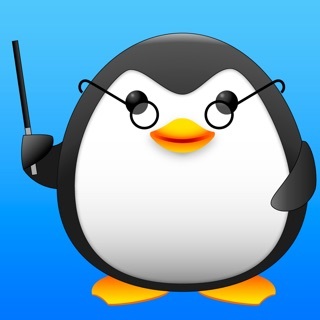 At MindSnacks we like to keep it fun, but we’re serious about learning. 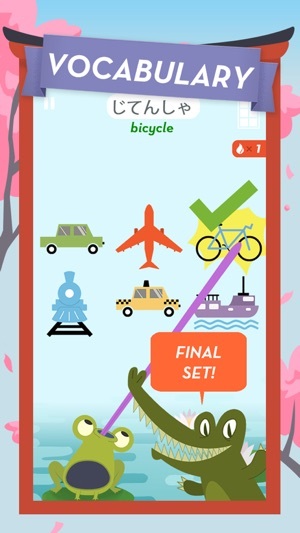 That’s why our Japanese app includes 8 challenging games designed by education experts. Each game teaches a specific skill and helps create a well-rounded learning experience for both kids and adults that goes well beyond basic flashcards. Of course studying is only worth it if it works, so our unique algorithm reinforces the learning process using proven methods from the field of memory studies. 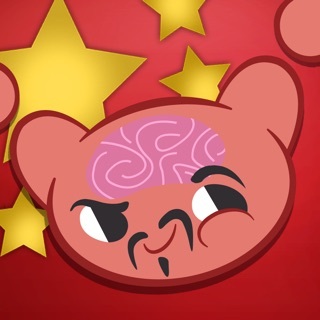 Over time, the games adapt to your individual performance, selectively repeating Japanese words, phrases and grammatical points with which you’ve previously struggled. 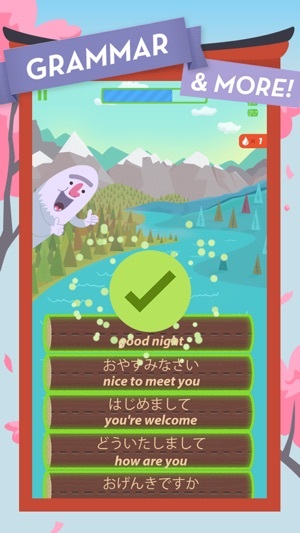 In other words, as you learn Japanese, the app learns about you for a more effective learning experience. Whether you’re traveling to Japan for pleasure or learning Japanese for business, MindSnacks will help with your grammar and vocab so you can become less reliant on a dictionary or translator. 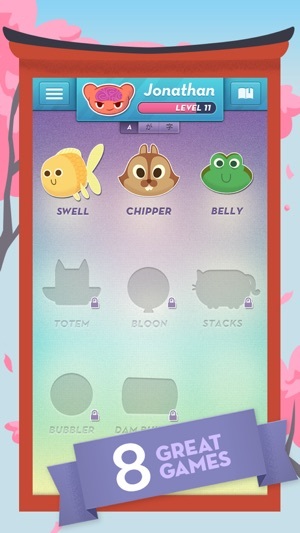 Great for beginning and intermediate learners of Japanese, MindSnacks is like a helpful Japanese teacher that goes where you go and teaches on your terms. Update August 2017: Apparently this company just disappeared off the face of the earth. Their twitter account hasn't been updated since 2014 and this app hasn't been updated since 2015. I wasn't able to log in so I don't even know if the app still works. Shame. I paid money for this & the French one & really enjoyed them but I guess they've been abandoned now. They should probably be removed from the store if they don't work anymore. The mini games are really addictive and fun, and it's nice to have a choice of which games you want to play, it gives the lessons a little variety. Animations, sound and music are all top notch. I wish there was more information about the words and phrases, and anything about grammar, really. 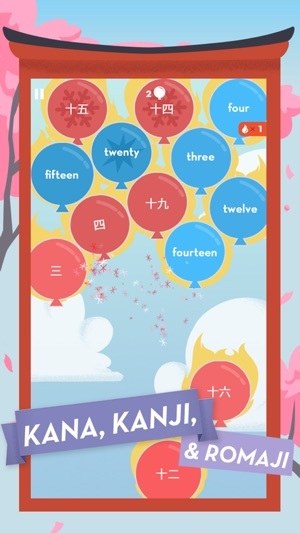 This app is basically a way to learn vocab and learn how to read kanji, hiragana and katakana - some of the timed games will make you recognize kanji almost faster than you can consciously think about what you're looking at, which is fun. But I don't know how useful this app would be to someone who hasn't also taken Japanese classes, or tried to teach themselves the language before getting this app. You will probably want to study on your own in addition to playing these games, if you really want to learn. 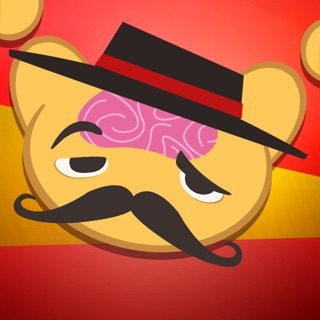 This app was fun with mini games that really helped me learn the language. I knew nothing of the language but found myself learning the words and the hiragana quickly and effortlessly and that is what was really difficult for me in Japanese was the reading and writing. For the first time ever I purchased the pack for Japanese, I don’t buy apps but because I was enjoying learning the language and was actually learning the characters with the words it was worth it to buy the pack. I ended to ease off the app because I didn’t know when I was going to Japan as my previous plans dropped. When I had confirmation that I was moving to Japan I picked up the app and started relearning what I had previously. Then I updated my phone about a month before I left for Japan.... the app was and has not been updated. I can’t use the app whatsoever. 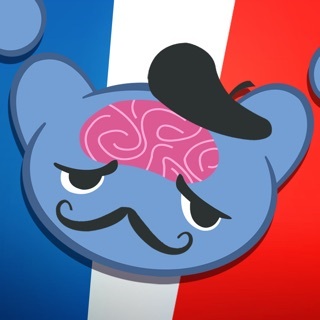 The other apps I have tried don’t work as well as this one did to help me learn the language and I am destroyed inside. I now have lived in Japan for two weeks and am struggling to read the characters on everything even though I am picking up conversational Japanese fast. Just as I foresaw. I need this app to be updated but as other reviewers have noted they just disappeared, even though I paid for the pack it doesn’t matter. 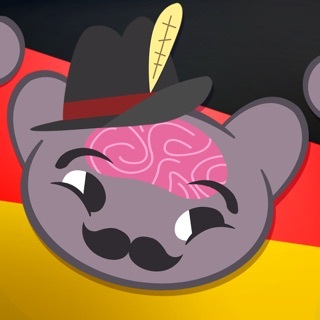 I’m sad to say don’t download this if you have iOS 11, you can’t use this amazing system to learn a language. And for that I am sorry. I really really really love this app!! I’ve had it for years and recently I decided to get back into using it to learn Japanese. Today I updated to iOS 11 and if I knew I wouldn’t be able to continue to use the app I wouldn’t have. I can’t even open it! 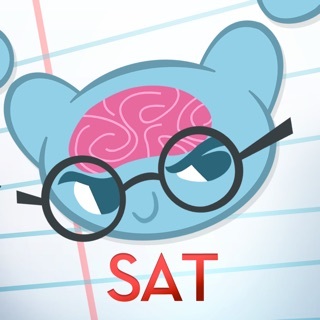 This app helps so much and is probably the main thing keeping me on my schedule of learning. 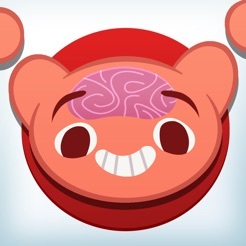 I see that there’s been nothing from mindsnacks in about 3 years on social media which is scary, I think their last update for the app was 2 years ago. It doesn’t look like they have done anything to their website in about that long too. I hope that even if they aren’t making more apps or improvements that they at least update it for iOS 11. I don’t see many people asking for this so I’m not sure and I don’t think getting ahold of them on social media will happen seeing how long they’ve been absent. PLEASE PLEASE PLEASE update this app and all your language apps for anyone else that might still use them!! I’ll be very sad if I can’t continue learning my lessons on here because I haven’t found anything like it and I really hope this isn’t the end for it!! I hope someone reads this and can do something.